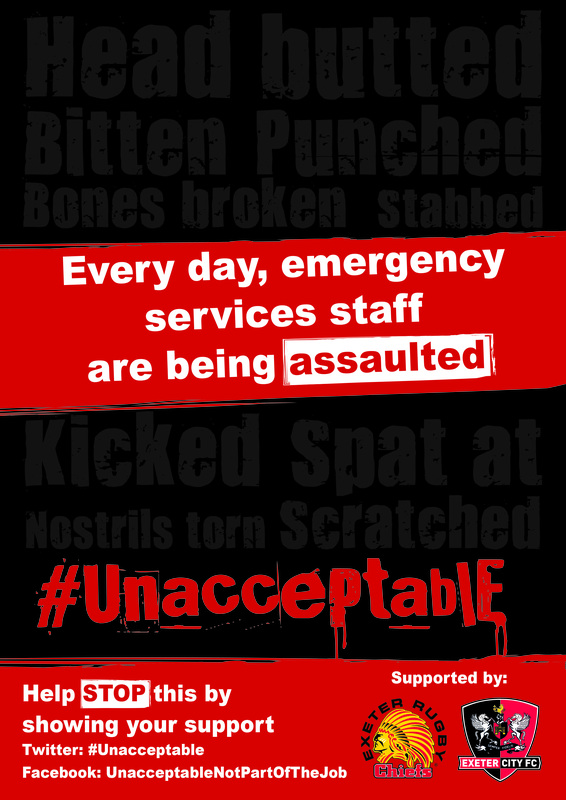 Police, ambulance, fire and healthcare staff are regularly subjected to assaults on a daily basis. These include serious injury, verbal abuse, spitting and biting and even sexual assault from those they are trying to help. Based on previous twelve-month figures; by the end of 2018, over 1,400 police officers from Devon & Cornwall, Dorset and Avon & Somerset will have been assaulted while carrying out their duties to keep the peace within their local communities. Sadly, however, it is thought these figures do not represent the entirety of assaults, as many are never reported by the victims. 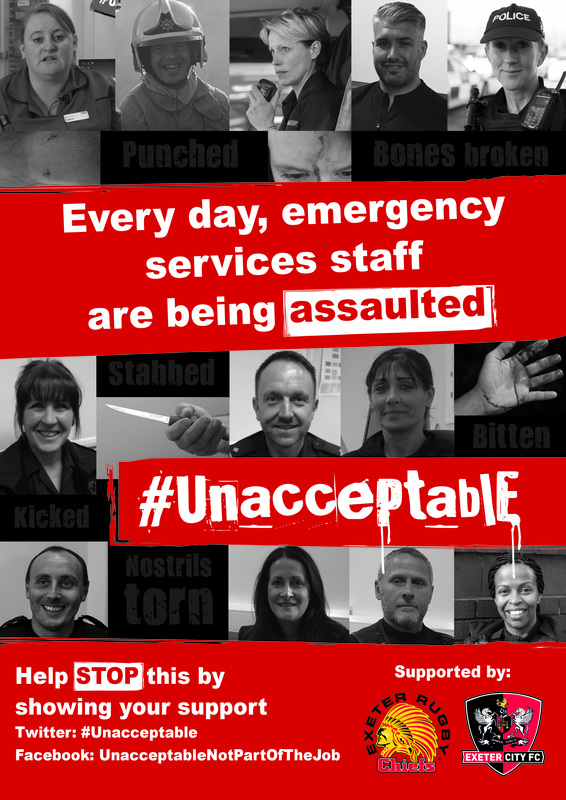 We have worked with our fellow blue light services from across the South West to develop a campaign: #Unacceptable to help achieve our goal of protecting emergency services workers. This is also being supported by Exeter City Football Club and the Exeter Chiefs who are encouraging the public to get behind the initiative by showing their support on social media. We would like your support to help us achieve our goal of zero assaults on emergency services workers by getting involved in the #Goal999 social media challenge. This is a fun challenge as it asks for people to post their photographs and videos of their most creative goal on Facebook and Twitter, using the hashtags #Goal999 and #Unacceptable. When you post your attempts, we ask that you nominate two more friends or family members to share their goals too. Goals don’t have to be sport-based, they can include anything positive; whether that be climbing a mountain, painting a landscape or even growing vegetables. 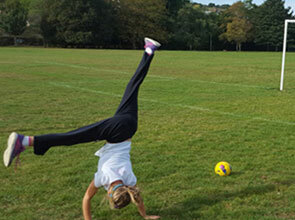 The winner of the ‘most creative’ goal could scoop an early Christmas present in the form of a signed shirt by the Exeter Chiefs or Exeter City Football Club. To make provision about offences when perpetrated against emergency workers, and persons assisting such workers; to make certain offences aggravated when perpetrated against such workers in the exercise of their duty; to require persons suspected of certain assaults against such workers which may pose a health risk to provide intimate samples and to make it an offence, without reasonable excuse, to refuse to provide such samples; and for connected purposes. The sentence is a maximum of 12 months. 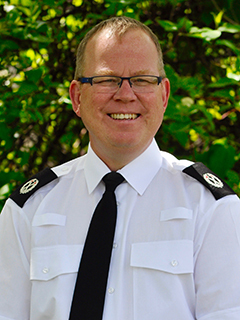 “Our officers and staff, along with other emergency services colleagues, demonstrate commitment, courage and dedication on a daily basis. 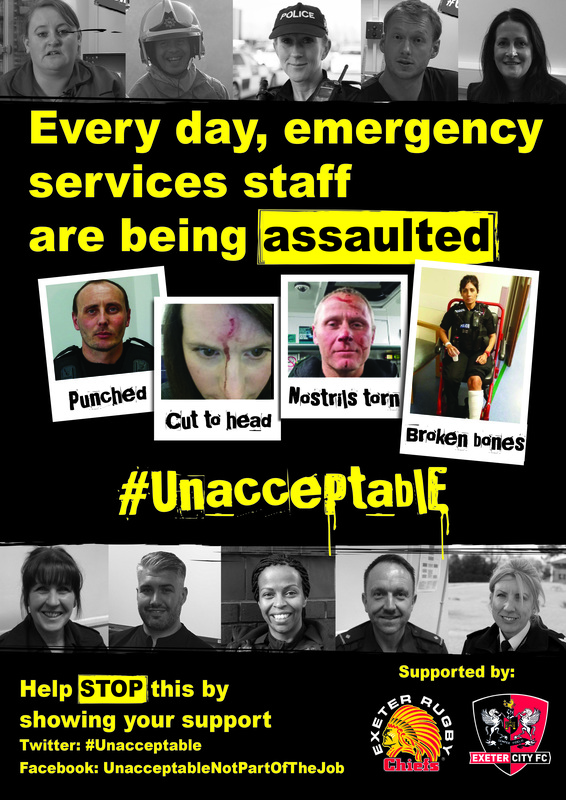 They signed up to helping and protecting the public, not coming into work each day with the risk of being assaulted. The impact this can have on them, their colleagues and their families can have lasting effects long after physical scars have healed.